Are you a woman ready to listen to and follow your soul’s purpose? Do you feel like… there’s more to you? to your life? you have gifts and talents ready to be expressed? you want to be the change and create an impact in the world? 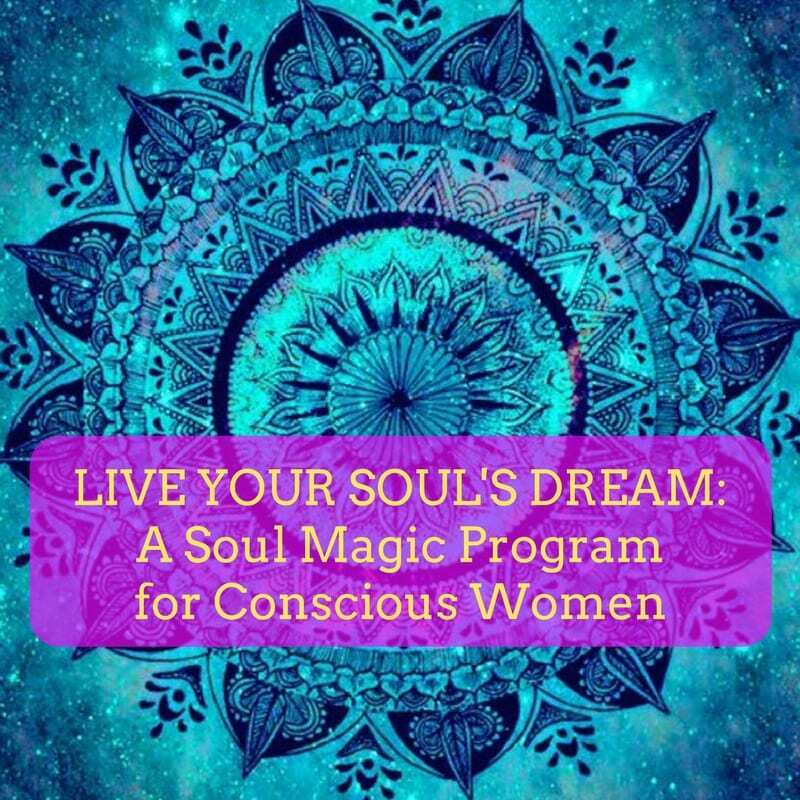 This join me and other wonderful women in LIVE YOUR SOUL’S DREAM, a 3-month program. DISCOVER your Soul’s purpose. You go on inner journeys to listen to and connect with your soul to know why you’re here on this planet. You know, the great stuff. CLARIFY your vision. You decipher and accept your Soul’s messages. Learn some soul technologies and arts like how to manifest and work with intention. Clear any goblins that might be in the way of you believing and stepping into your magic, truth, and power. CREATE your reality. You create a plan, and begin to take action steps towards making your Soul’s dream a reality. 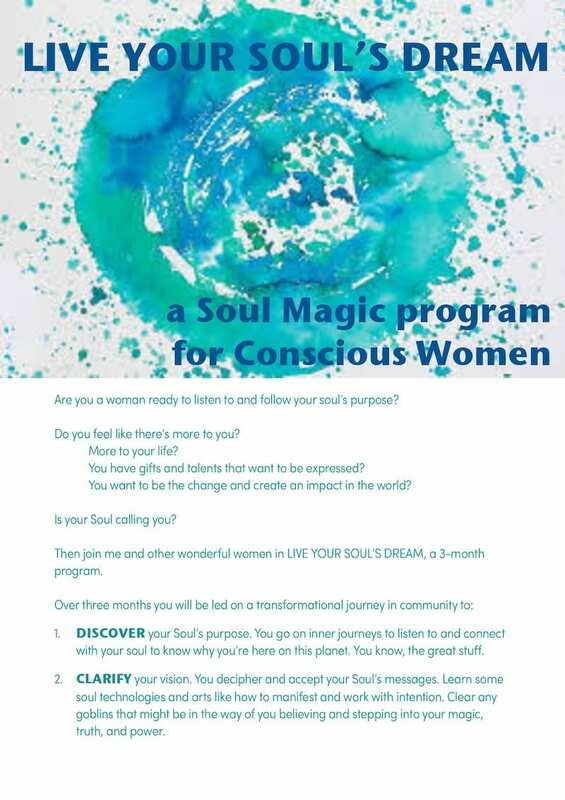 WHO this program is for:This program is perfect for Conscious Women ready to rise to a whole new level and live their dreams. You know there’s more to you and your life — but you just don’t know how to get there on your own. INVESTMENT: $997 (monthly payment plans available). Buy your ticket. Space is limited to buy early.